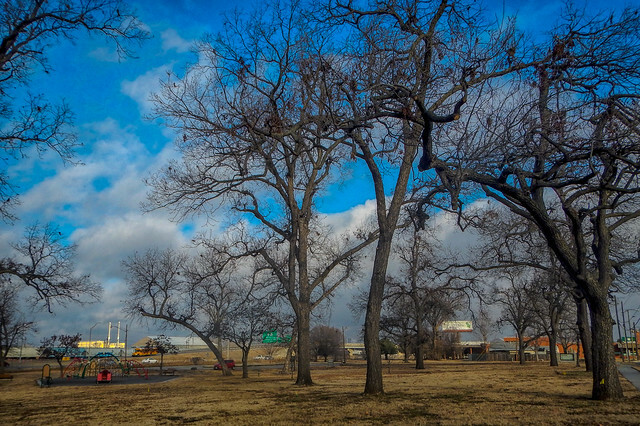 The sky during a recent blustery day on Tulsa’s industrial west side. I love the bare trees, the blue sky, and the clouds. I even love the “trash to energy plant” on the lower left side of the photo with the two smokestacks. 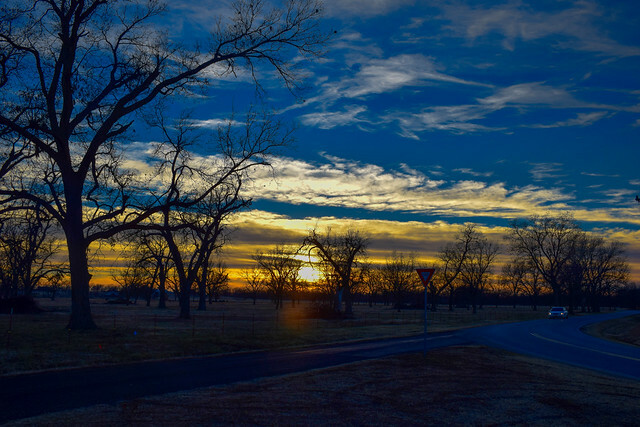 This entry was posted in Skywatch Friday and tagged Clouds, Howard Park, Oklahoma, Oklahoma Skies, Skies, Skywatch Friday, Topaz, Trash to Energy Plant, Tulsa on January 24, 2017 by Alan Bates. I’m still learning how use Lightroom and Photoshop and I am definitely in the “Why had I not done this earlier?” mode. I really like how the various parts interact. I can open up and do basic edits in LIghtroom and then pass it easily to PhotoShop where I can send it to a Topaz filter. And like magic it sends to the Topaz edits back to Photoshop and Photoshop sends them Lightroom and in Lightroom I can publish directly to Flickr. It works so smoothly it is almost scary. Next I’m going to learn layers in PhotoShop. I’m interested in layering images on top of each other. Just of the heck of it at first but I also want to see what I can do creatively with the techniques. Oh well, enough for all that. I’m linking with Skywatch Friday. This entry was posted in Skywatch Friday and tagged Digital Art, Flickr, LIghtroom, Oklahoma Skies, Oklahoma Sunset, Photoshop, Skies, Skywatch Friday, Sunset, Topaz on January 4, 2017 by Alan Bates. And I am donating a free shadow selfie at no extra cost. as a PS I am ashamed to say that I have subscribed to Photoshop for over a year and just this week have been figuring out how it works. I had always discounted Lightroom before but I have learned it is an integral part of the whole process. You do the easy edits in Lightroom and then pass the photo easily on to Photoshop. And then you can pass it back. Easy Peasy. Plus I have some of the Topaz Filters and have learned that the they are easily integrated into Photoshop as well. In the photo above I used I used a free Nik Filter from Google. They made them free in March of 2016 and they are very powerful. Anyway, they are integrated into Photoshop also. I feel kind of dumb but having a little time to study things shows me that I have been wasting a lot of time. Better late than never I guess. This entry was posted in Fences Around the World and tagged Fences, Fences Around the World, LIghtroom, Nik, Oklahoma, Oxley Nature Center, Photoshop, Running, Topaz, Trail Running, Trails, Tulsa on December 30, 2016 by Alan Bates. This week for Skywatch Friday I’m going back to our summer vacation in Orange Beach, Alabama. 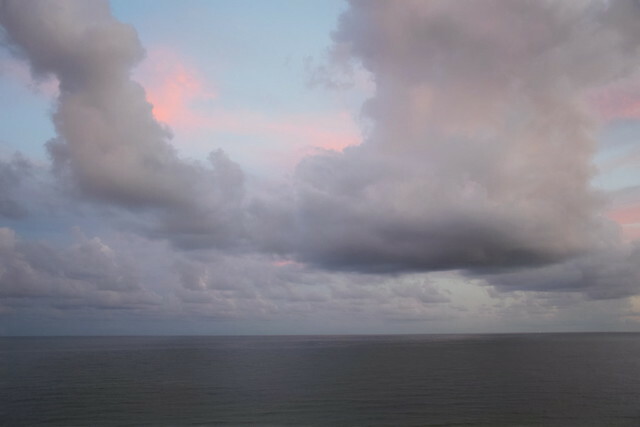 I can sit and look at the Gulf of Mexico for hours, and have especially when there is a little color in the sky. Our Fall here in Oklahoma has been way too dang warm. I know the cold and ice is coming. I’m hoping we get back to the Gulf next summer. This entry was posted in Skywatch Friday and tagged Gulf of Mexico, Orange Beach, Skywatch Friday, Topaz on November 2, 2016 by Alan Bates. Tuesday night I made a run late in the day on the Arkansas River Trail right off downtown here in Tulsa. I was able to get this shot above of a sunset. Pretty soon my evening runs will be in pitch dark but now I’m enjoying the earlier sunset and slightly cooler weather. 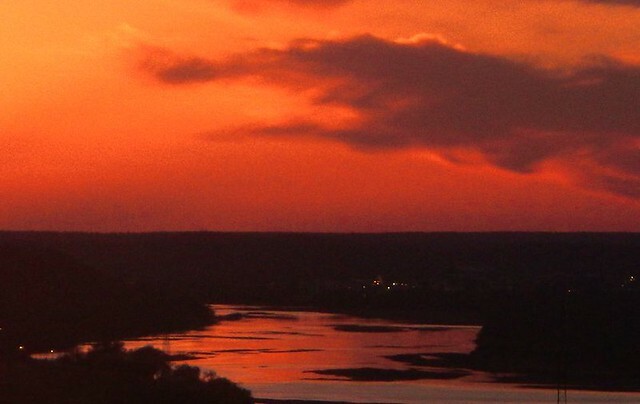 This entry was posted in Skywatch Friday and tagged Arkansas River, Oklahoma, Skywatch Friday, Sunset, Topaz, Tulsa on September 21, 2016 by Alan Bates. 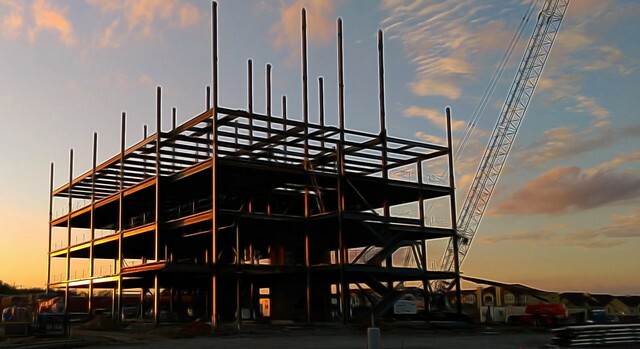 I was driving home Tuesday afternoon and I noticed the light coming off the beams of this bank building that is under construction. I had to (I just had to!) pull off on a parking light and take a pic with my phone. I amped up the reflections off the steel with a dose of Topaz Glow and backed off about half. I’m learning that with the filters sometimes less is more. Have you ever just had to pull of the road and take a picture???? This entry was posted in Digital Art Meme and tagged Digital Art, Digital Art Meme, Topaz, Topaz Glow on October 27, 2015 by Alan Bates. I cheated a little bit today. I went back to last Fall to find my photograph for SWF. 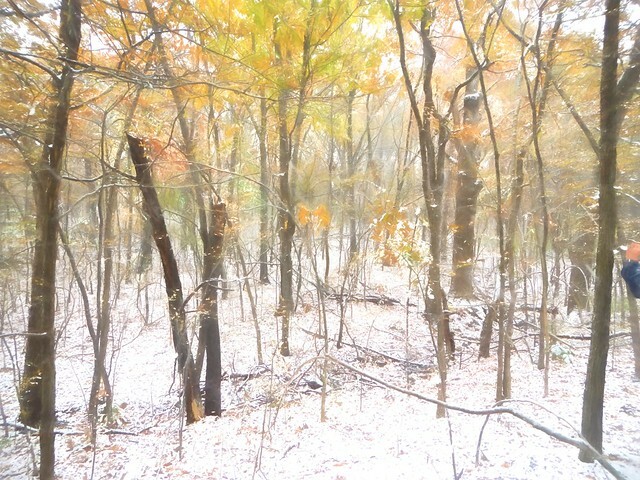 This is a scene on Turkey Mountain’s new Zoi trail. 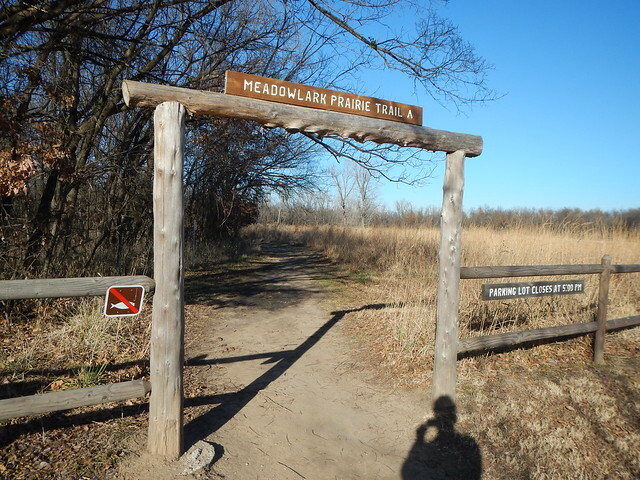 I am not cool enough to know what “Zoi” means but it is a nice trail that doesn’t get a whole lot of traffic mainly because you have to hunt a little bit to find it. It is one of the few places on Turkey Mountain where I have seen deer in the last year or so. This entry was posted in Skywatch and tagged "Topaz Impressions", Skywatch Friday, Topaz, Turkey Mountain, Zoi Trail on February 19, 2015 by Alan Bates. 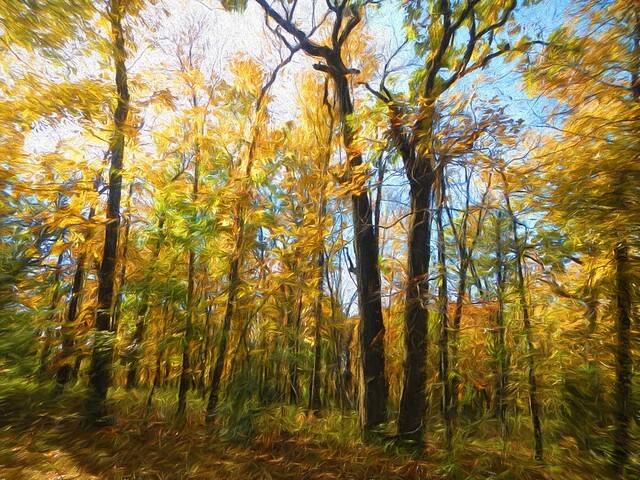 I used Topaz Impressions with their Watercolor IV filter to make this. This entry was posted in Digital Art Meme and tagged Digital Art Meme, Impressions, Snow, Topaz, Turkey Mountain on December 31, 2014 by Alan Bates. This is a Topaz Labs Impressions modified photograph of part of Eric Baker’s “Oklahoma Autumn” installation” at Philbrook Museum of Art‘s Gardens. It is made of steel, agate, and kiln fired glass and is absolutely beautiful and I always have to go check it out whenever I visit the museum. I used Topaz’s Impressions to give “swirly” the photo a little bit. 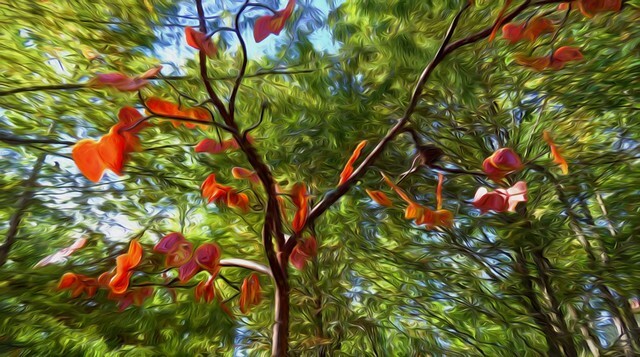 This entry was posted in Digital Art Meme and tagged Art, Digital Art, Gardens, Impressions, Philbrook, Sculpture, Topaz on December 2, 2014 by Alan Bates. A view west from downtown Tulsa along the Arkansas River. I work till six so I get some great views this time of year. 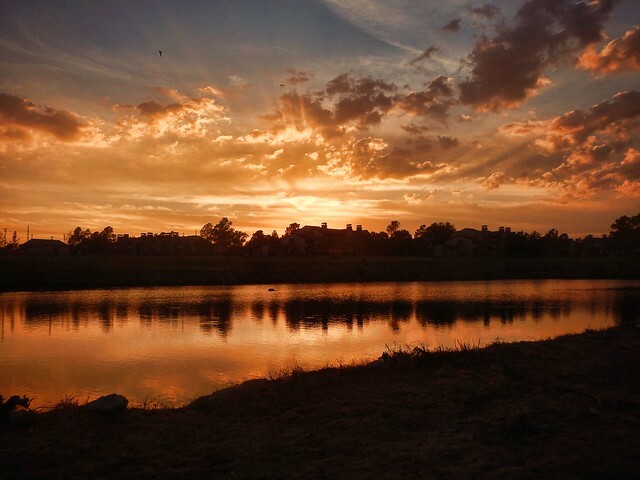 This entry was posted in Skywatch and tagged Arkansas River, Skywatch Friday, Sunset, Topaz on November 19, 2014 by Alan Bates.